K. A. Applegate. Photo by flickr use lknm4. The One and Only Ivan is an acclaimed Newbery Award winner, and now is newly available in paperback. Author Katherine Applegate’s story is a middle grade reader told through the eyes of shopping mall gorilla named Ivan. The story has humor and heart. Join us. Diesel, A Bookstore in Larkspur welcomes Katherine Applegate to the store as our guest bedtime book author on Friday, November 7th at 6pm. Pull on your PJs and bring your teddy bear to the bookstore! Author Katherine Applegate will be here to read you a bedtime story. Get cozy in front of the fireplace, listen to a story or two, have some milk and cookies, get your books signed, and then head home for bed. Katherine Applegate's new book is Ivan: The Remarkable True Story of the Shopping Mall Gorilla, a picture book companion to The One and Only Ivan. It's the true story of a captive gorilla known as Ivan, the Shopping Mall Gorilla who lived alone in a tiny cage for twenty-seven years in a Washington State shopping mall before being moved to Zoo Atlanta after a public outcry. He was a beloved celebrity at the zoo, which houses the nation's largest collection of western lowland gorillas. Ivan was well-known for his paintings, which he "signed" with a thumbprint. Katherine's many other books include the Roscoe Riley Rules chapter book series, the picture book The Buffalo Storm, the award-winning novel Home of the Brave. She lives in California with her husband and two children. Oh My Gosh! Storytime very proudly presents Katherine Applegate sharing the true story of the gorilla who inspired her Newbery Medal-winning novel The One and Only Ivan, Ivan: The Remarkable True Story of the Shopping Mall Gorilla. Captured as a baby, Ivan was brought to a Tacoma, Washington, mall to attract shoppers. Gradually, public pressure built until a better way of life for Ivan was found at Zoo Atlanta. From the Congo to America, and from a local business attraction to a national symbol of animal welfare, Ivan the Shopping Mall Gorilla traveled an astonishing distance in miles and in impact. This is his true story, complete with photographs of Ivan. Cool Brains is Inprint's young adult/children's reading series. Throughout the year, many great authors come to Houston for public appearances. We partner with Inprint in providing books. About the Author: Katherine Applegate’s many books include the ROSCOE RILEY RULES chapter book series, the picture book THE BUFFALO STORM, and the award-winning novel HOME OF THE BRAVE. With her husband, Michael Grant, she wrote the hugely popular series ANIMORPHS, which has sold more than 35 million copies worldwide. Katherine was inspired to write The One and Only Ivan after reading about the true story of a captive gorilla known as Ivan, the Shopping Mall Gorilla. The real Ivan lived alone in a tiny cage for twenty-seven years at a shopping mall before being moved to Zoo Atlanta after a public outcry. He died in August of 2012 and IVAN was awarded the 2013 Newbery medal. Book: Ivan is an easygoing gorilla. Living at the Exit 8 Big Top Mall and Video Arcade, he has grown accustomed to humans watching him through the glass walls of his domain. He rarely misses his life in the jungle. In fact, he hardly ever thinks about it at all. Then he meets Ruby, a baby elephant taken from her family, and she makes Ivan see their home—and his own art—through new eyes. When Ruby arrives, change comes with her, and it's up to Ivan to make it a change for the better. When: Sunday, October 27, 3:00 p.m.
A limited number of autographed copies of books will be available for purchase after the event. If you cannot attend the event, but would like a personalized copy of this book, please call us before the event at (281) 497-8675. K. A. Applegate's book The One and Only Ivan was available from LibraryThing Early Reviewers. 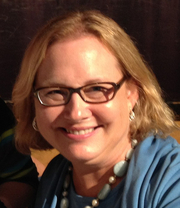 K. A. Applegate is currently considered a "single author." If one or more works are by a distinct, homonymous authors, go ahead and split the author. K. A. Applegate is composed of 23 names. You can examine and separate out names.